2017 Jaguar XE 20d | Why Buy? In the XE sedan, the new engine provides a 0-62 miles per hour (0-100 kilometers per hour) acceleration in 5.5 seconds for models equipped with an all-wheel drive system. The bigger XF sedan sprints to 62 mph (100 kph) in 5.8 seconds with the new unit, while the F-Pace SUV needs 6.0 seconds to reach these numbers. Average fuel consumption stands at 28 MPG highway / 28 MPG highway / up to 25 MPG highway for the XE, XF, and F-Pace respectively. 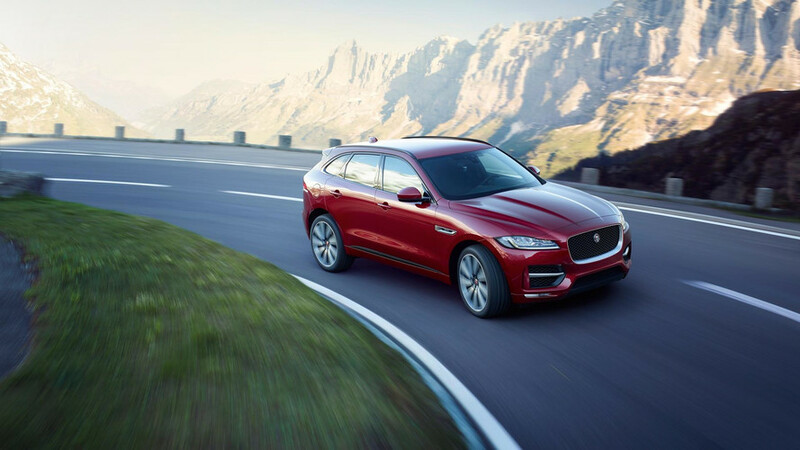 The British manufacturer promises that, when mated to Jaguar Land-Rover’s ZF eight-speed automatic transmission, the new 30t-badged engine delivers “exceptionally smooth acceleration with seamless gearshifts and outstanding responses.” In the F-Pace SUV, the powertrain sends its power to all four wheels, while customers of the XE and XF can choose between either a rear- or an all-wheel-drive layouts. Earlier this year, Jaguar introduced another new engine for its lineup, a 2.0-liter turbo gas unit with 200 hp (149 kW) and 247 hp (184 kW), with the first being available only for the XE and XF models outside the United States. Also, the British manufactured added a new 2.0-liter four-cylinder biturbo diesel with 240 hp (179 kW) and a meaty 369 lb-ft (500 Nm) from 1,500 rpm in Europe, while the XE also received a 3.0-liter V6 engine shared with the F-Type with 380 hp (283 kW). 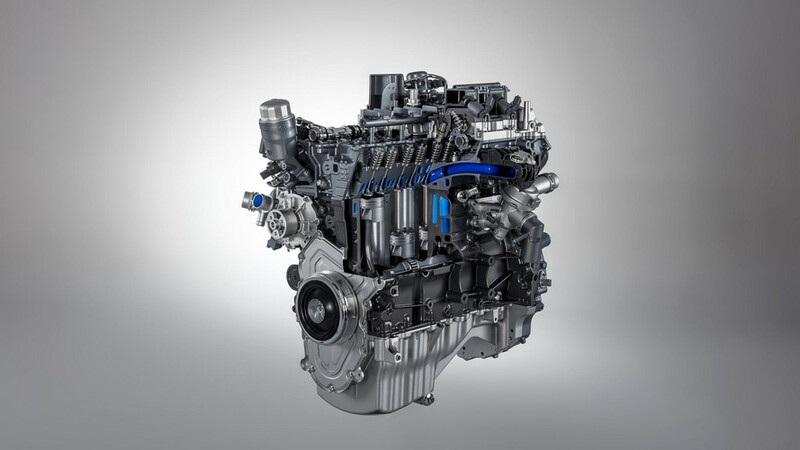 The 2.0-liter four-cylinder Ingenium gasoline engine produces 295-lb.ft. of torque for exceptional acceleration. That’s enough to power the World Car of the Year-winning F-PACE to travel from 0-60mph in 5.7 seconds (0-100km/h in 6.0 seconds)1 with fuel economy of up to 25mpg highway2. 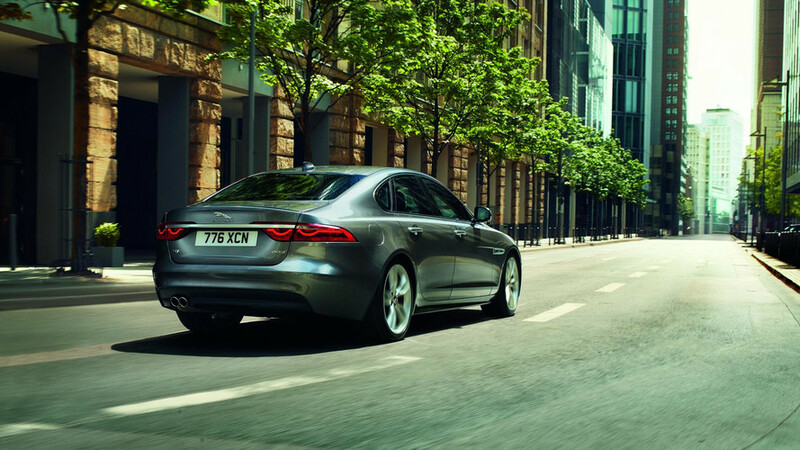 In the Jaguar XF mid-size sedan the new engine delivers 0-60mph in 5.4 seconds (0-100km/h in 5.8 seconds)1 in rear-wheel drive form with a fuel economy of 28mpg highway2. 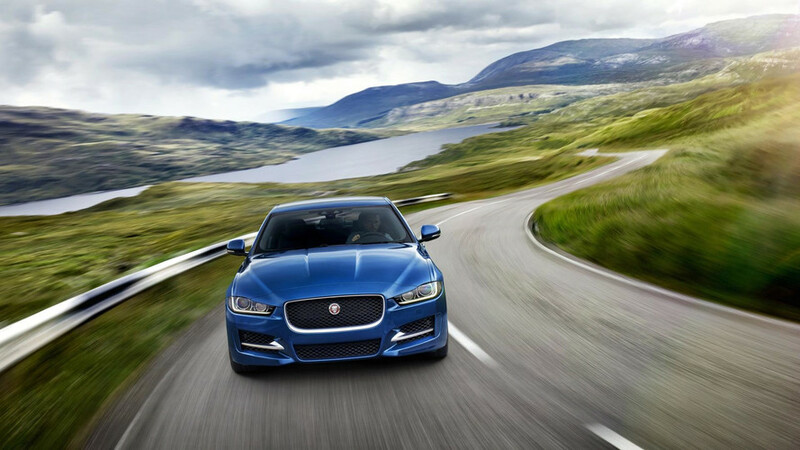 For the XE sports sedan, the new engine delivers similar figures. The 0-60mph sprint takes 5.2 seconds (0-100km/h in 5.5 seconds)1 for the all-wheel drive model with a highway fuel economy rating of 28mpg2. 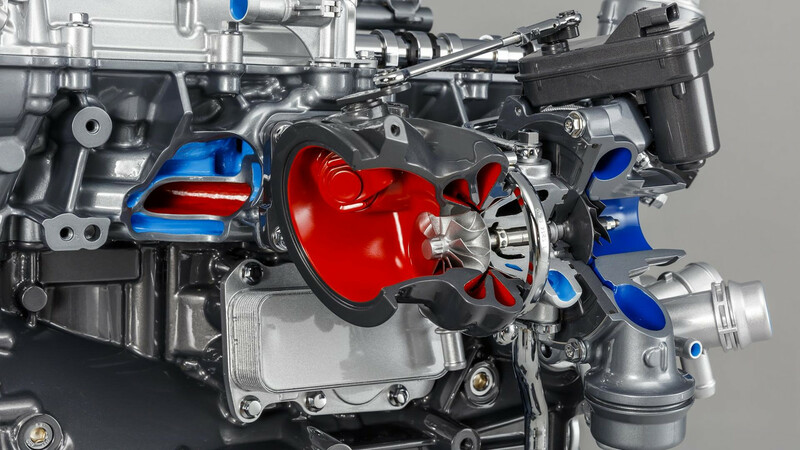 The new four-cylinder engine, badged 30t, benefits from the latest Jaguar Land Rover engine technology, including twin-scroll turbos with ceramic ball bearings to reduce friction and a high flow compressor wheel for enhanced performance. The new engine is manufactured at the £500m Jaguar Land Rover Engine Manufacturing Center in Wolverhampton, UK. Paired with an advanced ZF® eight-speed automatic transmission, this drivetrain delivers exceptionally smooth acceleration with seamless gearshifts and outstanding responses. For the XE and XF sedan models, customers can also choose between rear and all-wheel drive, while F-PACE models feature AWD as standard. The introduction of the powerful new engine is the latest in a series of enhancements to the XE, XF and F-PACE. Earlier this year the range of advanced Ingenium engines expanded to include a 247HP version of the 2.0-liter four-cylinder gasoline engine. 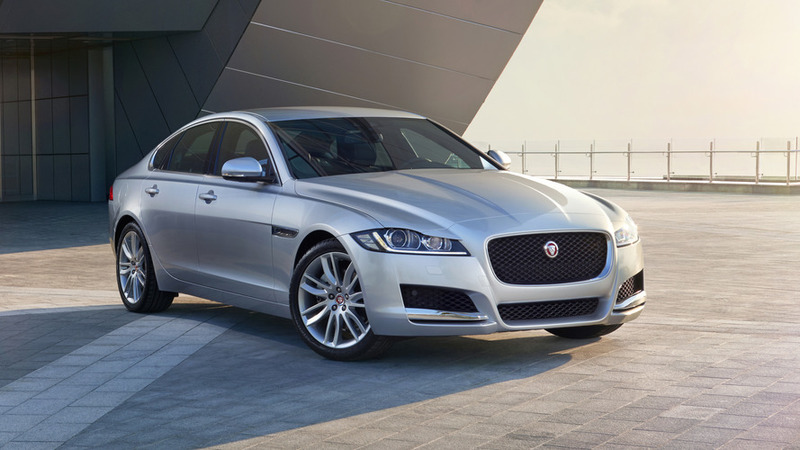 Further updates for the 2018 model year derivatives include available convenience features such as a Gesture Controlled Trunk Lid for the XE and XF. All three models also benefit from the very latest driver assistance technologies including optional Forward Vehicle Guidance and Forward Traffic Detection3.